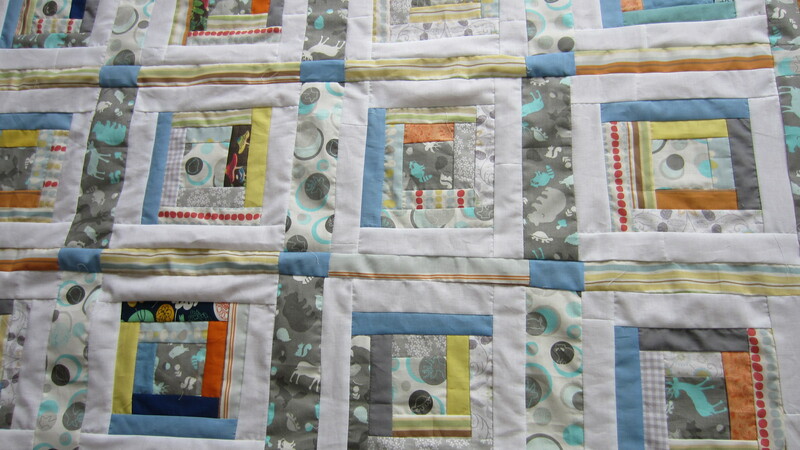 I had such a great time pulling together this woodsy, white crib quilt for my friend, Marla’s boy, Bodhi. This was the first time that I attempted a log cabin-style quilt, and it was so easy! These pictures are just the quilt top. 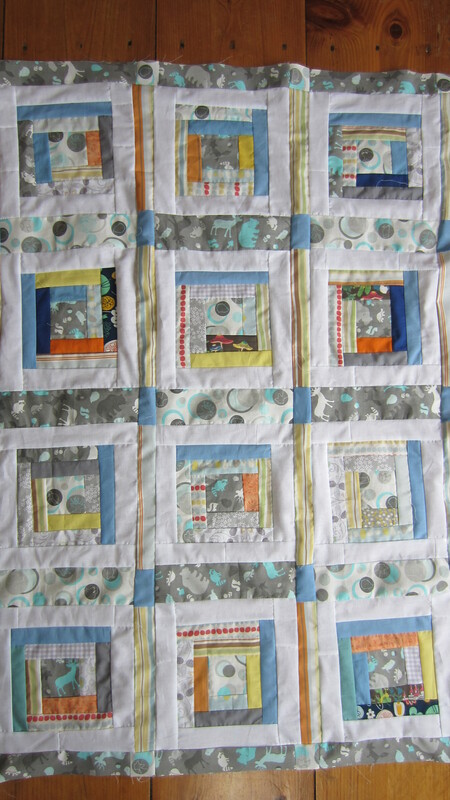 The final quilt has light grey flannel binding with animal tracks all over it. Cu-ute!